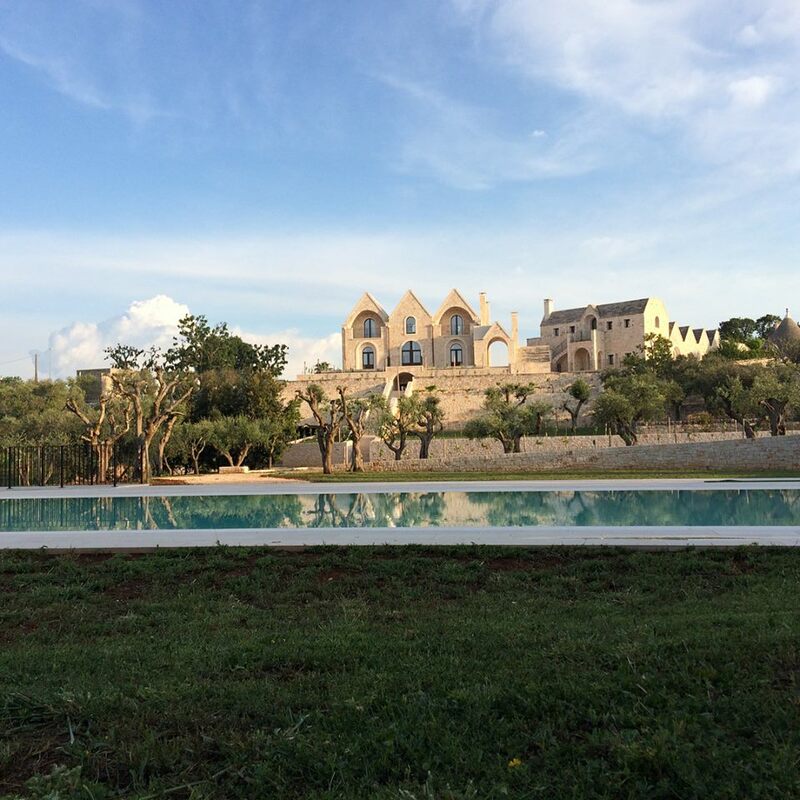 MOVE+MANIFEST [LUXURY] - Join us on our annual retreat to Italy's "it list" region of Puglia on our NEW itinerary! Spend a week amongst fertile red earth, gnarled olives, turquoise seas, beautiful trulli and some of Italy's best cuisine! END YOUR SUMMER WITH A COASTAL ADVENTURE! Deep in the heart of Puglia’s rolling, romantic Valle d’Itria, the conical whitewashed buildings of the famous trulli houses pierce the velvety blue sky. Hewn from the dry stone of the valley and topped with a handmade pinnacle – a signature from the stonemason – these former farm dwellings have become fashionable places to stay for travellers seeking quirky lodgings in the sun-beaten south. 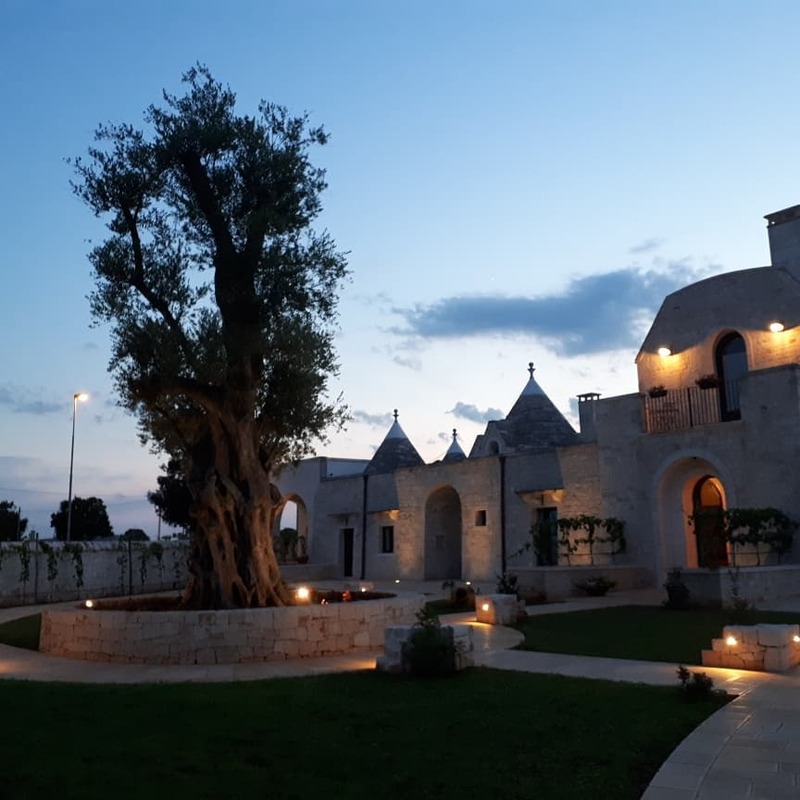 The once-derelict trulli houses of Ottoleri Resort captured the attention of a local couple in 1973, and after a family affair of painstaking reconstruction, their children have transformed the settlement into a tranquil resort. 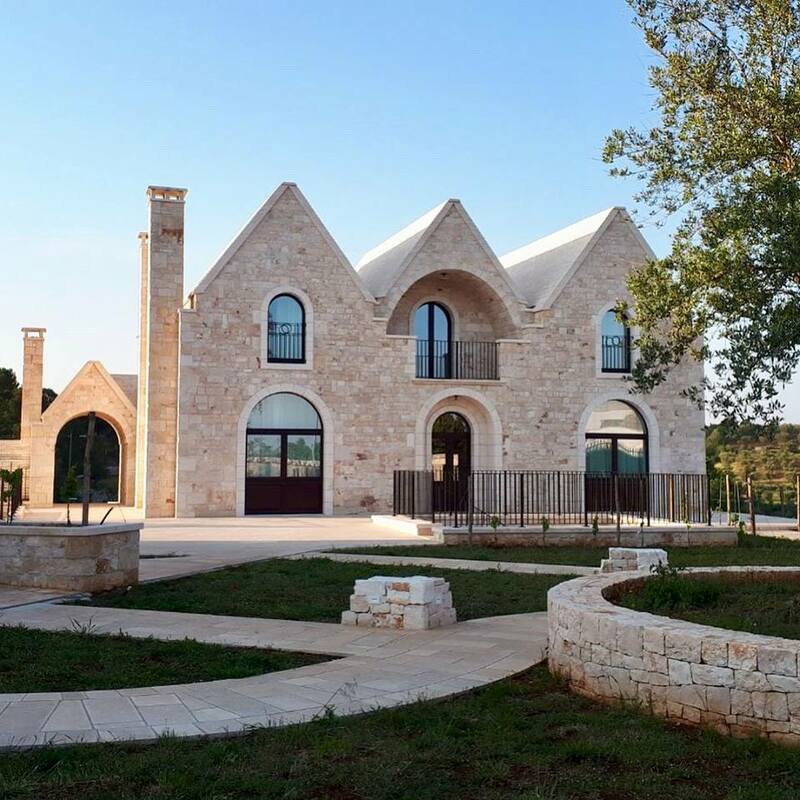 Located in the Valle d’atria, which is one of the prettiest areas of Puglia, (the sun-splashed heel of the Italian boot), this villa is surrounded by olive groves, ancient fortified farms and whitewashed towns spilling down the rolling hills towards vineyards and orchards. Outside are terraces encircled by chestnut and olive trees, a pool that’s large enough for laps, and an organic garden where fruit and vegetables are grown for the restaurant. 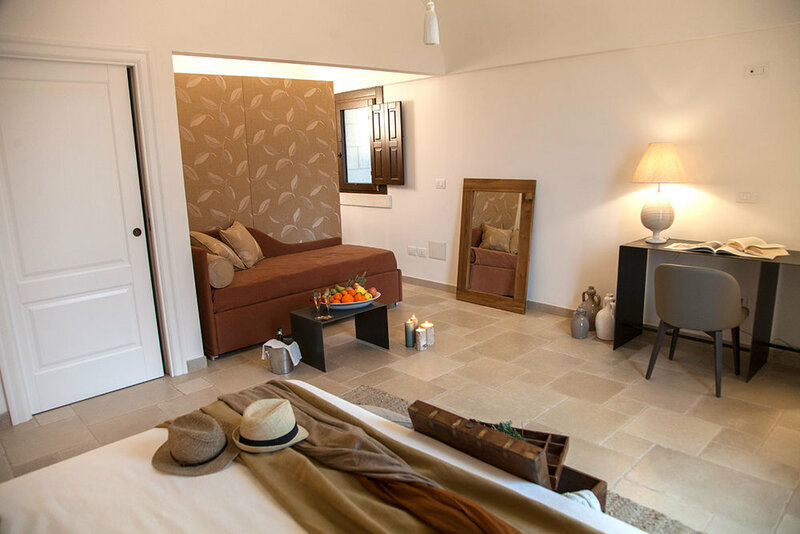 It’s a stylish slice of rural Italian life, a place to savor simple delights: dappled sunlight on your skin, a poolside siesta in the shade of a prickly-pear tree, a glass of local wine at sunset, and the chatter of birds from the hotel’s surrounding estate. Our day trips will allow us to experience the many unique landscapes and activities that this area has to offer. 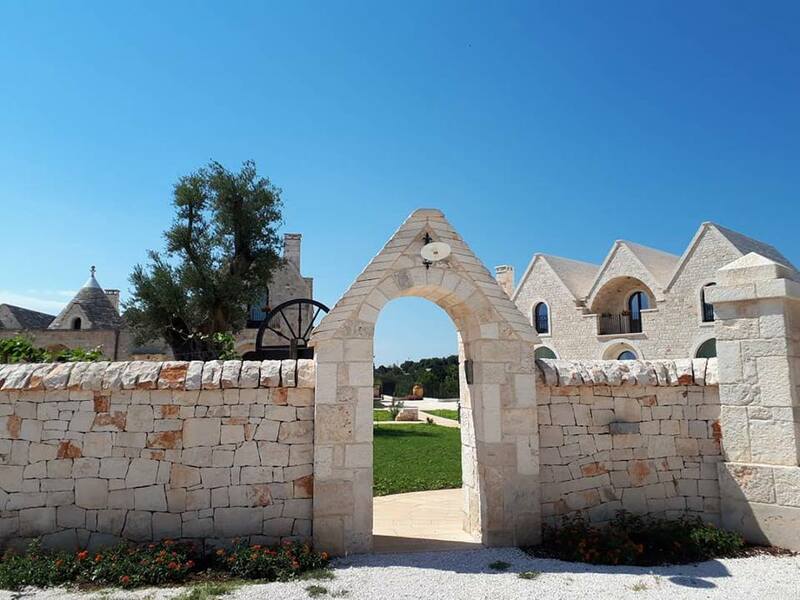 We will take a tour through Puglia's famous "Trulli," white, cone-shaped houses in the town of Alberobello, a UNESCO heritage site where the main concentration of these trulli still stand. 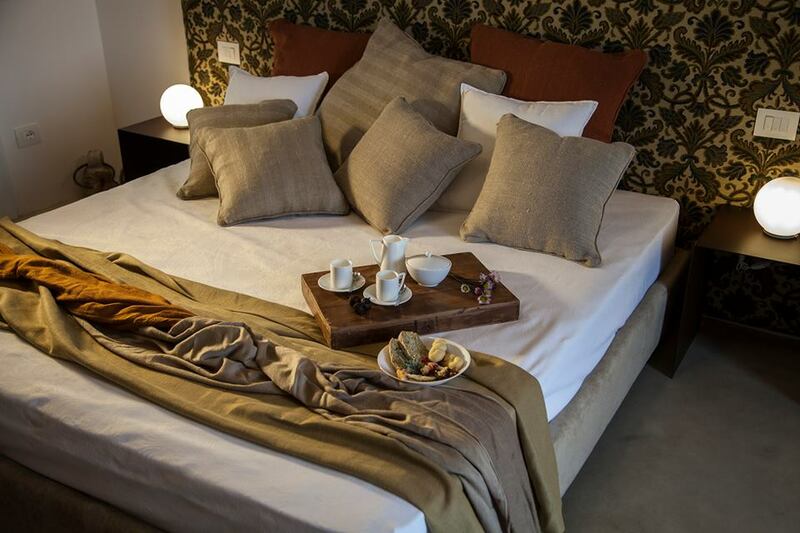 We'll enjoy a walk around town and a meal at an award-winning restaurant with a tasting menu + wine pairing. Next we have a relaxed day at one of the region’s blue beaches - we will explore the amazing coastal areas at a private beach club, visit a unique cheese farm and have a tasting in the area before heading back to the hotel. One day will include a winery visit with a tour and tasting, and yet another day with a visit to one of the area’s most picturesque towns with plenty of photo-worthy vistas and blue waters, followed by an amazing unique meal in a "grotto" overlooking the cliffs by the sea in Polignano al Mare. We will round out the week with massage treatments and plenty of time to relax at our home-away-from-home with it’s beautiful pool, walking trails, and more. Healthful, vegetarian food is part of the retreat experience, including breakfast and dinner daily, as well as selected lunches. We've carefully chosen delicious and fresh meals from renowned restaurants and chefs, which will give guests an expansive experience of the cuisine. 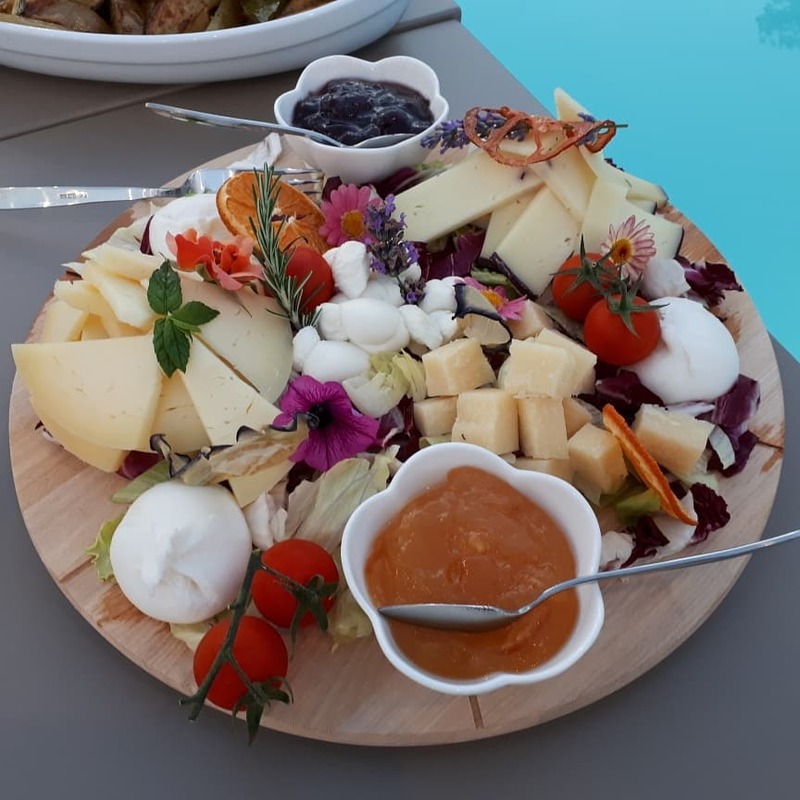 Our dinners will include a few multi-course tasting menus, as well as tastings throughout the week which could include regional specialities such as wine, cheese, and olive oil. While on-site, we'll dine in the restaurant which offers a modern take on the local food, based on traditional cooking methods and full creativity of the chef. A cooking class is in store for us as well as a meal in the world-famous Grotta, which is said to be one of the most beautiful restaurant settings in the world. MOVE+MANIFEST retreats will feature daily yoga classes and life workshops. Yoga classes will be offered in a way to relax, stimulate, and help guests grow in their own personal practice. Classes are open to all levels, beginner to practiced, and can range from gentle, restorative, and more vigorous vinyasa flow and ashtanga styles. * Style and class levels will be determined and moulded to fit participating students' needs, and with a small intimate retreat class size, students will be able to get personalized attention and comfortability to deeply explore their practice. Depending on each retreat location, classes will be held in a dedicated indoor yoga space and some also offer outdoor options as well for us to use if the weather is agreeable. Yoga lessons will begin the mornings and, in this theme of retreat, will be the assistant to help guests feel prepared and open to explore deeper in the focus of the life-coaching workshops. After leading a successful 13-year career in the corporate world, Michelle transitioned her career into a life & financial consultant, retreat organizer & leader, and internationally certified yoga instructor, following her passions and sharing this with others around the globe. She now leads EPM retreats which, besides yoga, adds workshops for life development, manifesting your dreams, and vision board creation. She holds an MBA in Finance from USC, an MA in Spiritual Psychology from University of Santa Monica, and became a certified Ashtanga yoga instructor in Florence, Italy. She lives part of the year in Florence, part in Los Angeles, and part wherever her heart takes her. Alberobello - UNESCO site of the famous Pulgia "Trulli"
The hotel is about 65 km from Brindisi Papola Casale airport and about 80 km from Bari Palese airport.